What you see here is a Chinese combat-ready attach drone called Blowfish A2 from Chinese Unmanned Aerial Vehicle (UAV) maker, Ziyan UAV. Ziyan UAV is not a newcomer in making UAV, though. 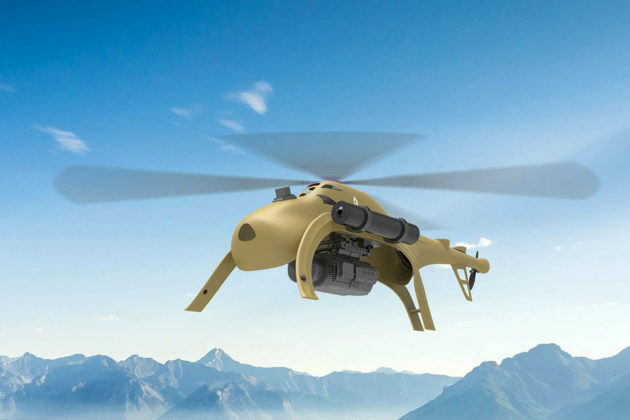 Prior to unveiling the Blowfish A2 at the Langkawi International Maritime and Aerospace Exhibition (LIMA) 2019 in Langkawi, Malaysia, the company already have at least 5 other helicopter-based combat drones under its belt. The Blowfish A2 is no different, but it stands out from the rest of siblings because of its very unusual form. It has a belly-less fuselage that reminisce that of the Sikorsky CH-54 Tarhe, but only way smaller and dare I say, weirder. 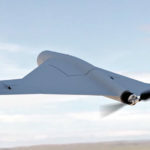 The UAV measures just 1.87 meters short and is rather low profile at 0.62 meter tall (6.14 feet and 2.03 feet, respectively), and it is capable of a top speed of 130 km/h or 209 mph. Its payload is not exactly the most impressive, though. It has a maximum take-off weight of 38 kilograms (84 lbs) and it reportedly has a max payload of just 12 kilograms (about 26 lbs). Other specs include 70-90 km/h (43-56 mph) average cruising speed, 60 minutes flight time, a wind resistance rating of 7, and a maximum ceiling go 5,100 meters (16,700+ feet). Yes, the Blowfish A2 is an electrically powered UAV which makes it pretty darn silence and perfect for recon missions and sneaking up on enemy out of sight of radar detection. Ziyan UAV Blowfish A2 is an autonomous UAV that can be launched at a touch of a button. It is totally capable of autonomously perform complex combat missions, including fixed-range recon, targeted target strike and more. As expected, where the belly used to be is now a space for assortment of payload, including radar, jamming device, guns, and very oddly, bombs. 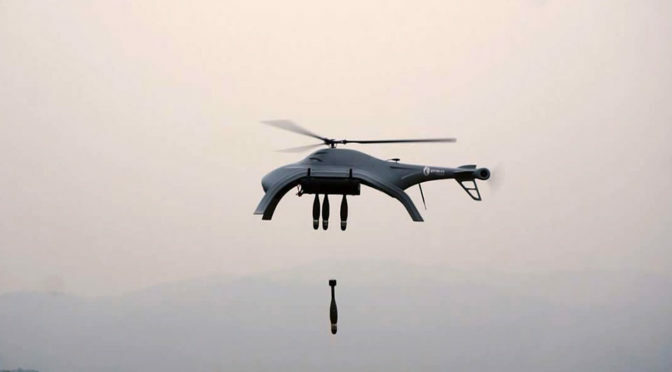 Usually, attack drones of such nature would be loaded with guided missiles, but in the case of Blowfish A2, it can be hooked up to a bunch of gravity-based bombs. 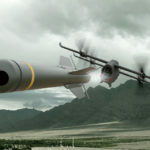 Clearly, Blowfish A2 is not like the General Atomics Reaper or the Predator drone that can go to distance to delivery its payload. It is more for close combat support for ground troops. This means, it can be launched by the ground troops to do things like reconnaissance or attack advancing opposing force. 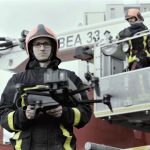 Being a vertical take-off UAV, it is also suited for launched from seafaring vessels too. 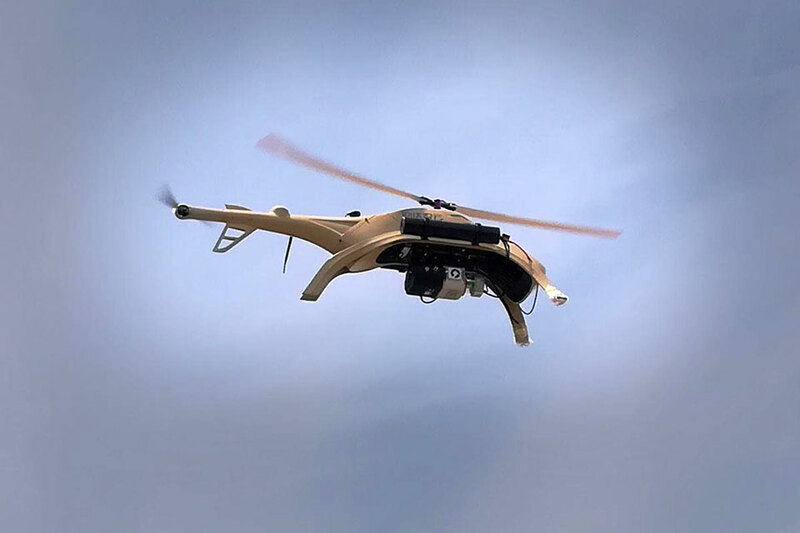 It seems like China is particularly fascinated with VTOL drone with the state-owned Aviation Industry Corp of China (AVIC) also in the business of developing helicopter drones including the missile-firing AV500W unveiled two years ago at the China Helicopter Expo. 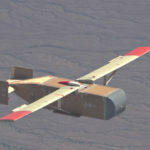 But Ziyan UAV Blowfish A2 Attack Drone is by far the oddest looking yet. Images: Ziyan UAV/Xuehua News [CH].